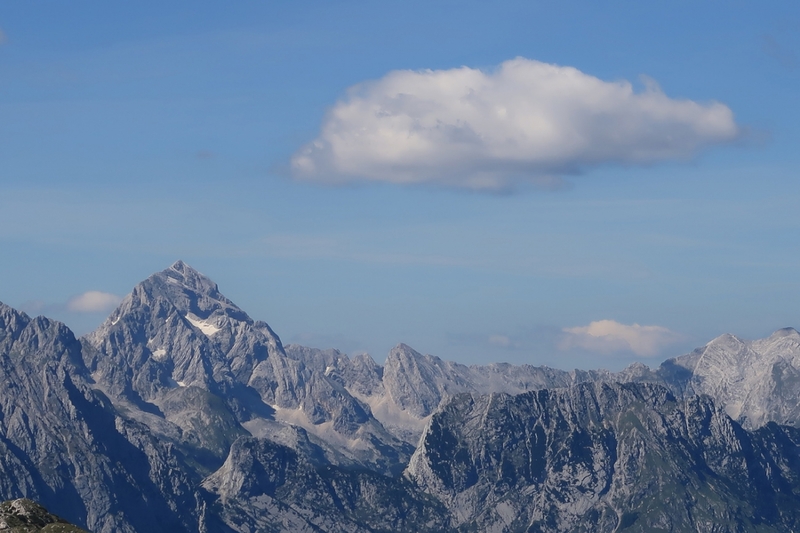 Triglav is more than just a mountain; it is the ‘Father’ of the Slovenian mountains. 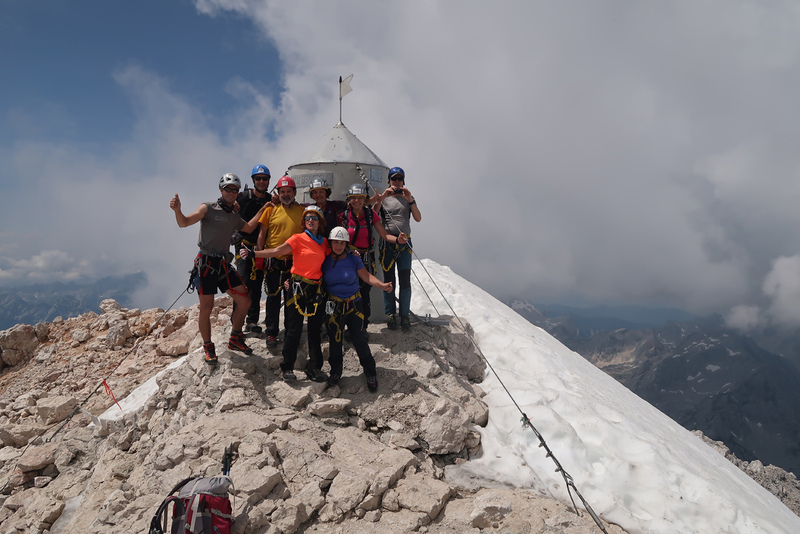 It is the highest peak of Slovenia, and with the enviable height of 2864m it acts as a symbol, the symbol of Slovenia and the Slovenian nation. 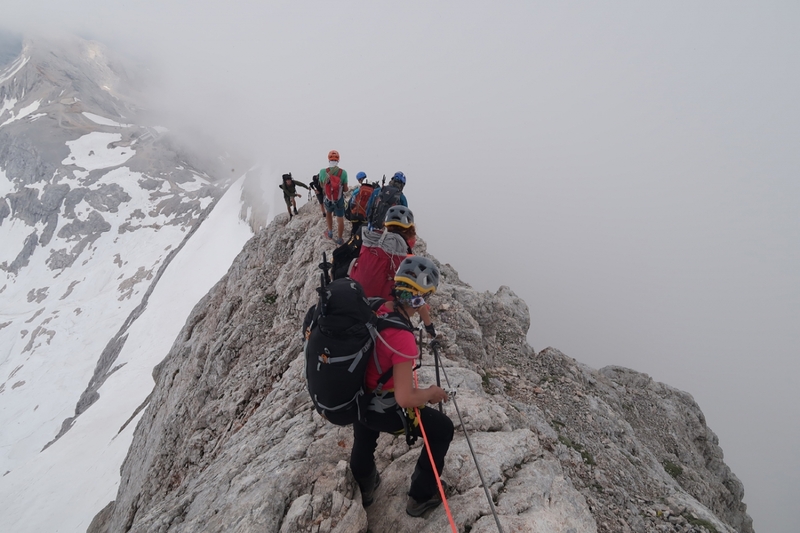 It is a ‘must do’ to stand on its summit and feel the pride and the magnificence of everything that is below you. 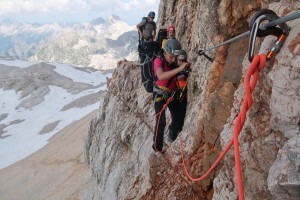 Triglav was first climbed in 1778, eight years before Mont Blanc, by four brave-hearted men. 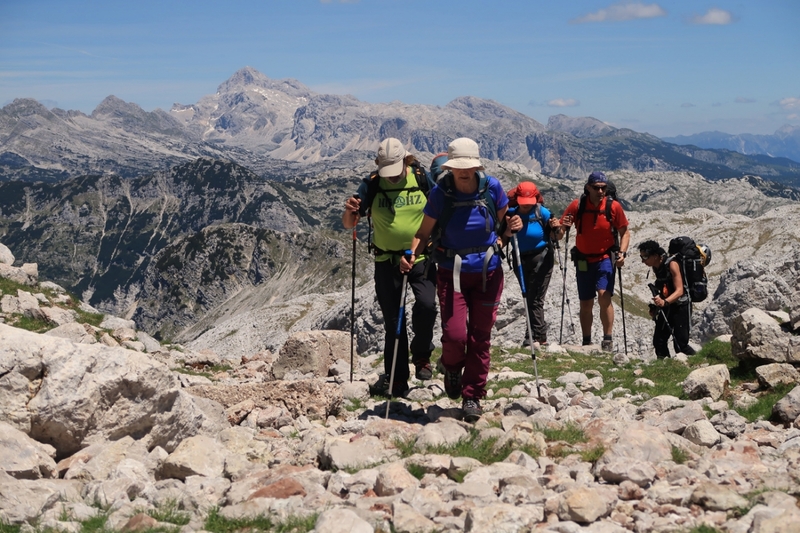 They set off from Lake Bohinj, which can be seen from Triglav as if it was in the palm of your hand. 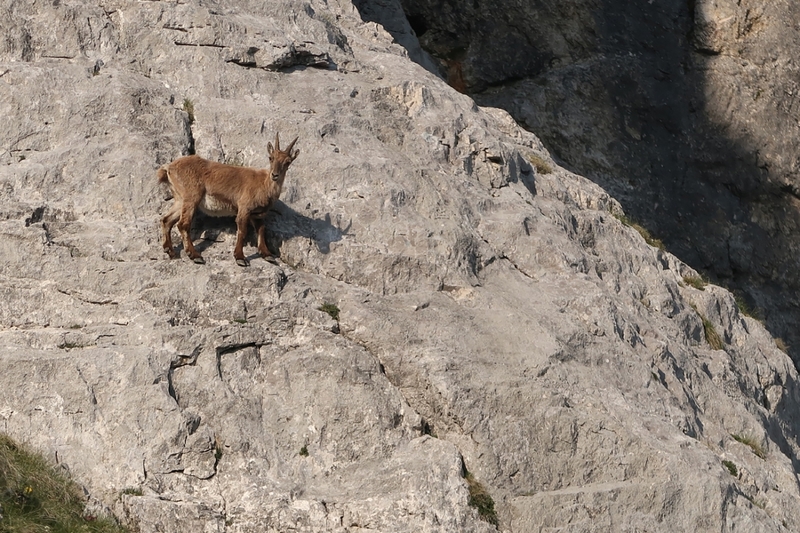 The route from Bohinj is the longest but it is not the only one. 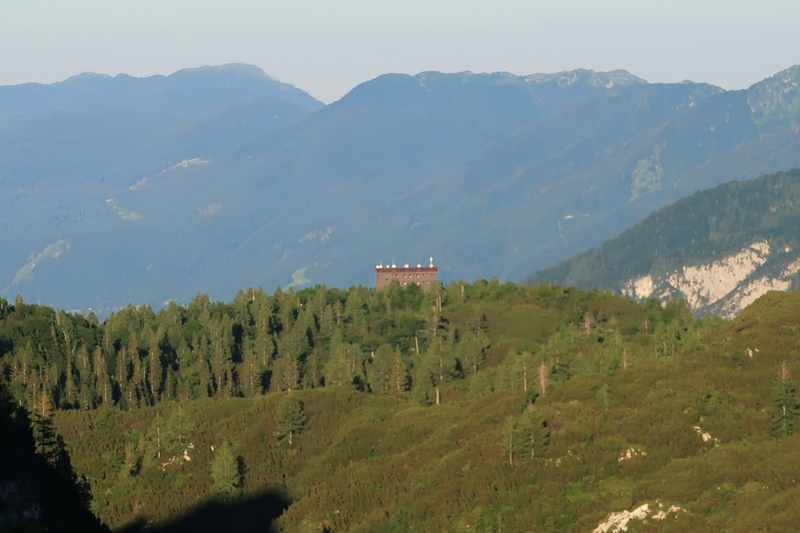 You can also reach Triglav from Pokljuka, where the altitude difference is smallest, and from Mojstrana, the most popular starting point for the three valleys: Krma, Kot, and Vrata with the mighty Triglav North Face brooding above it. 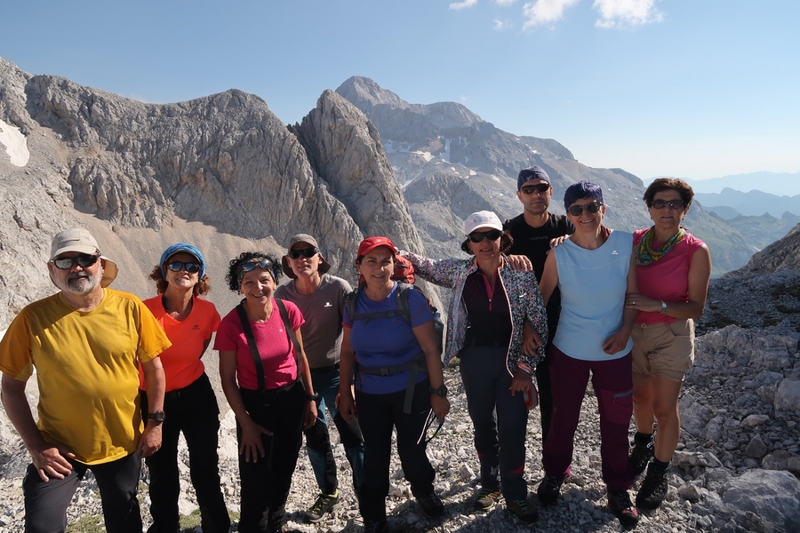 Another starting point is from the village of Trenta, where the trail leads through the valley of Zadnjica.If you don’t have much time, or if you want to make the ascent of Triglav in two days or even in one, any of the choices described above is a great opportunity. 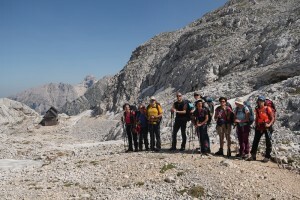 But if you want a real adventure and to really make the acquaintance of the Julian Alps, most of which are located in the Triglav National Park, a multi-day trek is the best choice. This trip is recommended from the end of June to the middle of September, when all the mountain huts are open. The main goal of the trek is a traverse of the Julian Alps, including an ascent of Triglav. 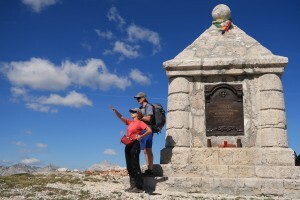 This trek also has an historical touch, as it runs along the mountains that bordered the Isonzo Front during the First World War. 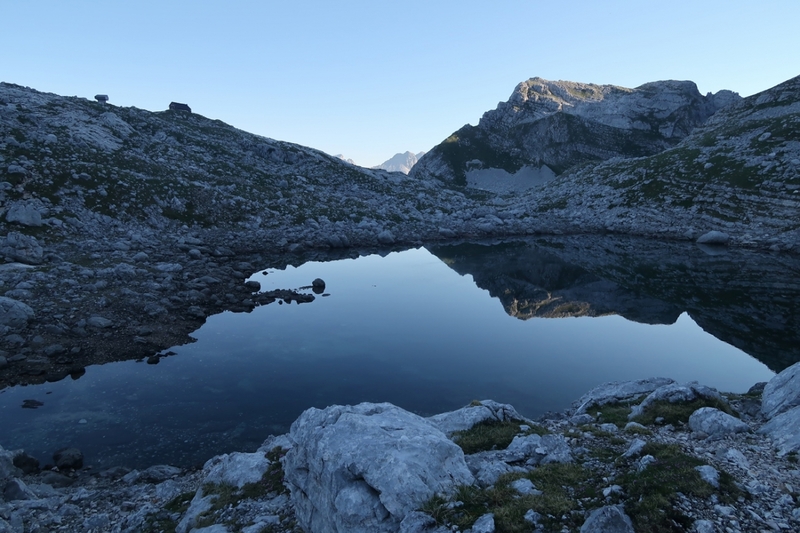 The shadow of history disappears when the trek reaches its climax in the fascinating Seven Lakes Valley, which brings you into the lap of Triglav. 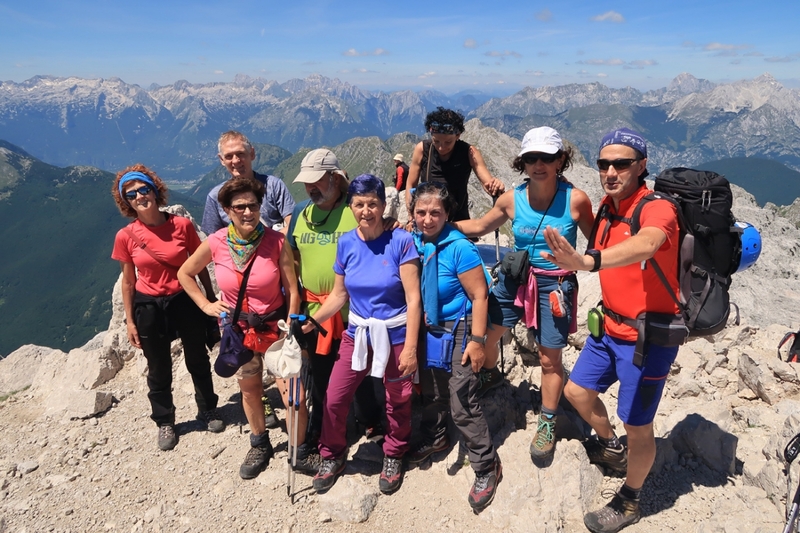 The four-day trek starts in the valley of the river Soča, specifically in the Lepena valley, and ends in Bohinj. Dom Klementa Juga in Lepena 700m – Dom pri Krnskih jezerih 1385m – Krn 2245m – Batognica 2164m – Below the peak above Peski 2100m – Prehodci 1639m – Za Lepočami 1630m – Bogatinsko sedlo 1804m – Dom na Komni 1520m. 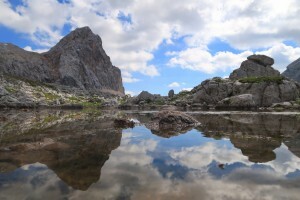 Krn lake. The biggest highland lake in Slovenia. The path leads from the lonely Lepena valley to Dom pri Krnskih jezerih (mountain hut). 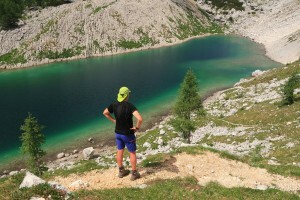 From the hut it continues to Slovenia’s largest mountain lake, Krnsko jezero (300m long, 150m wide, and 18m deep), with a view of the north wall of Krn. The path leads below it to the col between Krn and Batognica (2058m), and from there to the right along the ridge to the summit of Krn. The ascent to Batognica is a climb to the mountain of many deaths during the Isonzo Front. 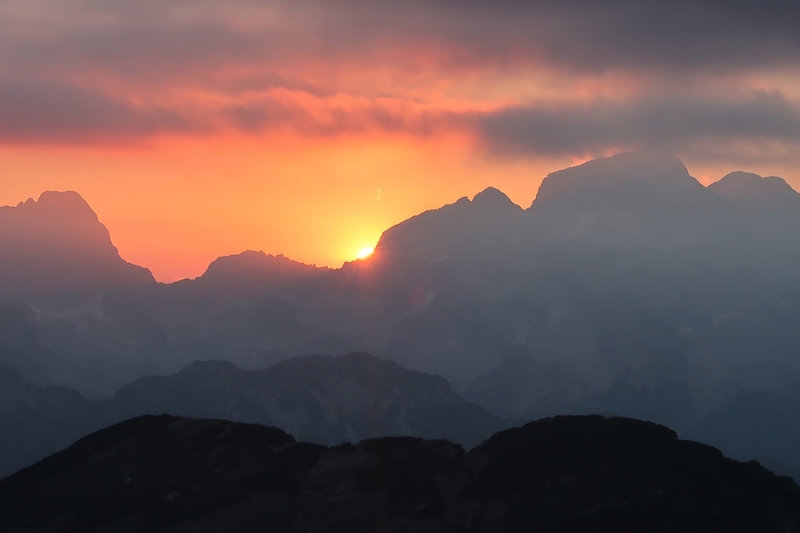 The mountain was mined underground by the Austro-Hungarian Army; an Italian tunnel was also discovered because the Italians wanted to mine the Austro-Hungarian positions. However, the Austro-Hungarian soldiers overtook them and mined half of Batognica’s summit area. 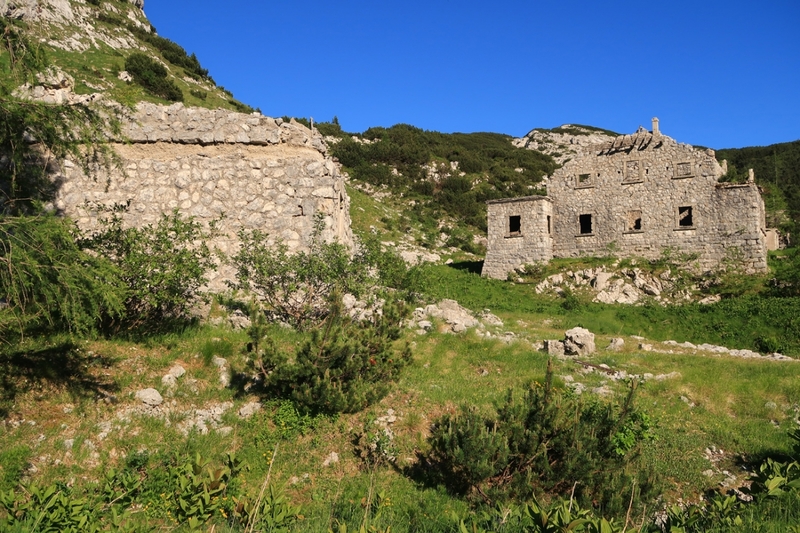 From Batognica the path descends to the pass of Prehodci (1639m) and goes a little lower to the old abandoned Italian military posts at Za Lepočami (1620m), which used to serve as a border control between the two wars. 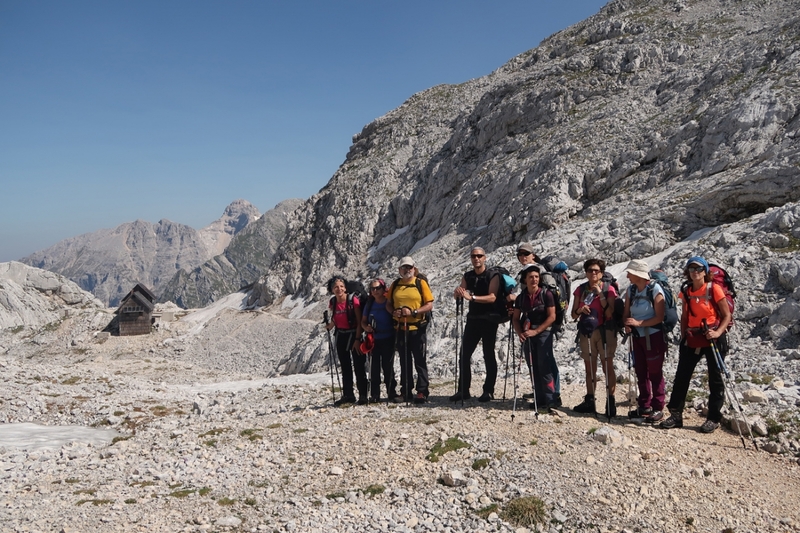 Next is the ascent to Bogatin Saddle (1084 m), where the border between Italy and the then Kingdom of Yugoslavia lay between 1920 and 1945. 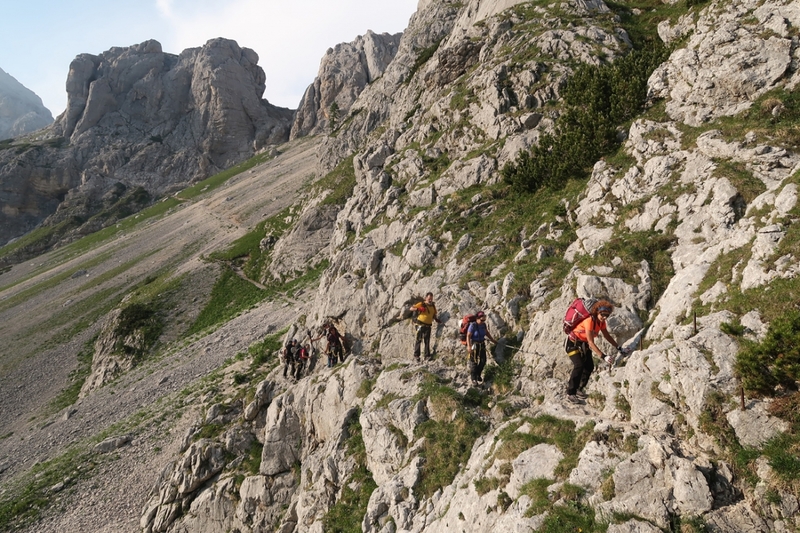 Towards the end, a mule track (mulatjera) descends gently to Dom na Komni (1520m). 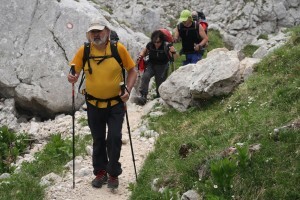 On mule path-ex path of isonzo front. In background on the left Bogatin 1977m on the right Mahavšček 2008m. 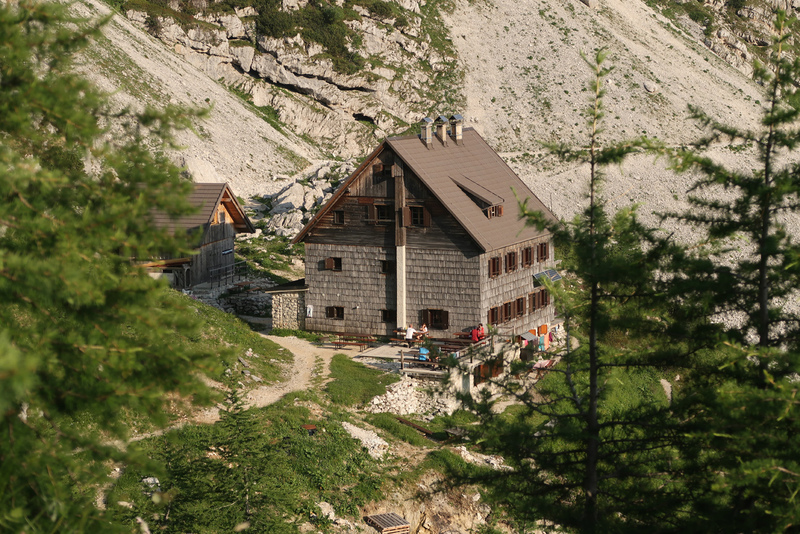 Dom na Komni 1520m – Lopučnica Valley 1550m – Koča pri Triglavskih jezerih 1685m –Hribarice 2358m – Dolič 2151m. In 7 lake valley. In background is double lake-6th lake. 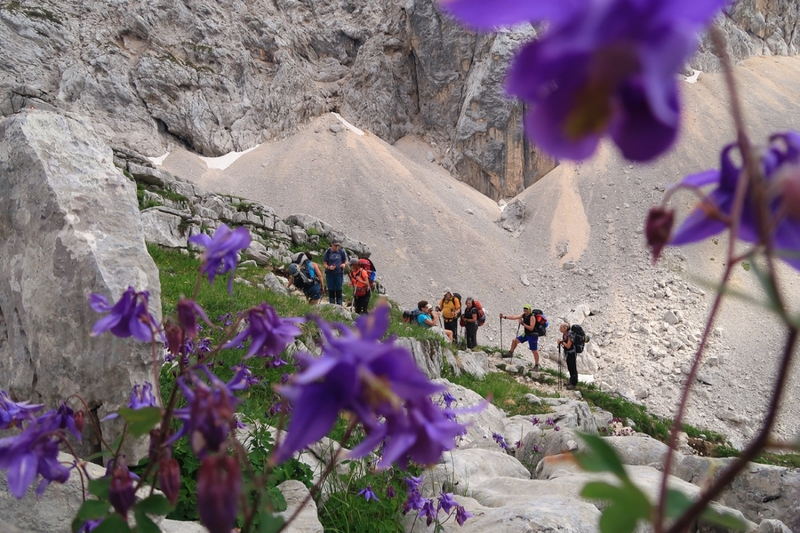 The second day you will be surprised and awed by the beauty of the longest high mountain valley in the Julian Alps, in the heart of the Triglav National Park (TNP), which was proclaimed in 1961. 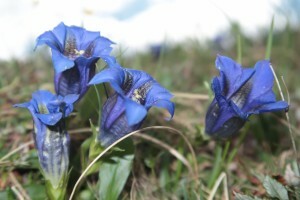 Due to its geological and biological diversity, an Alpine Park was designated here as early as 1934 – the basis for today’s TNP. 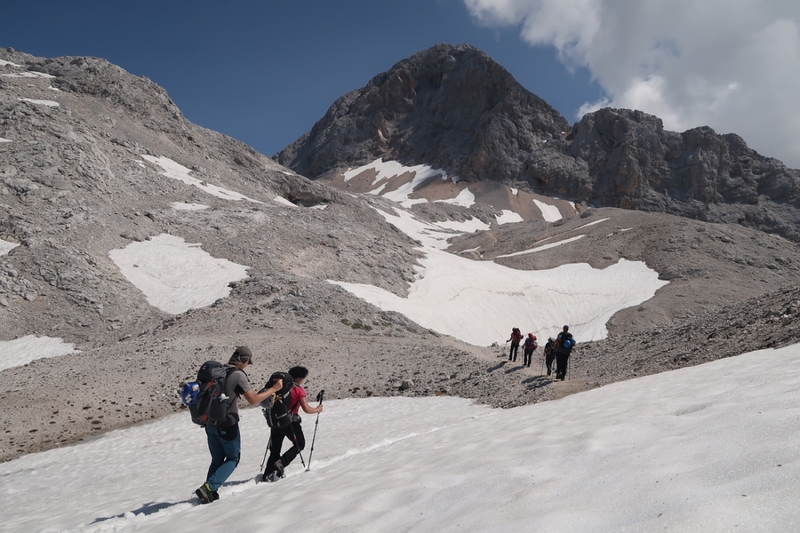 From Dom na Komni, the path leads gently up along the route of the Triglav Skiing ‘Magistrala’ to the mountain pasture at Kal, and from there it slowly descends to Lopučniška dolina (1550m). From here, the path climbs to Koča pri Triglavskih jezerih (mountain hut). 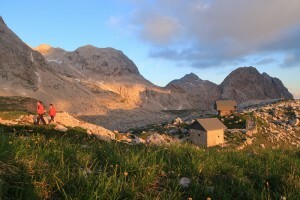 In front of the hut, the first view opens of the fifth and sixth Triglav Lakes – the Double Lake. 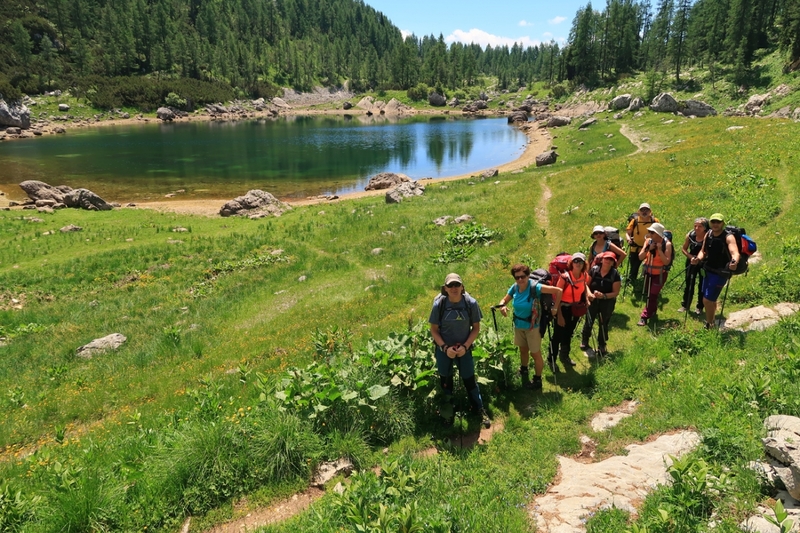 In the middle of the valley, the fourth and largest lake – Ledvička – is located. Before the ascent to Hribarice (2385m), it is possible to see the third lake – Zeleno jezero – and the second, Rjavo jezero. 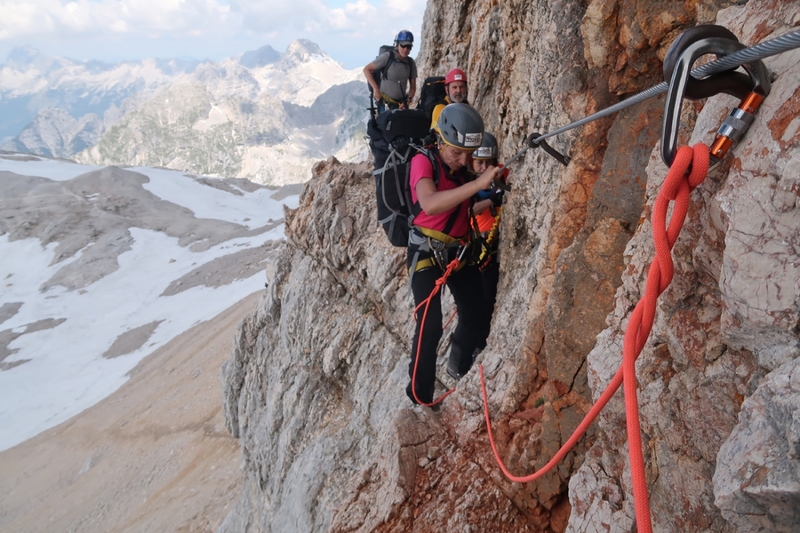 After the saddle at Hribarice (2385m) is reached, there is a descent to Koča na Doliču (2151m), where we will stay the night. 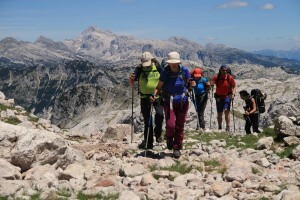 Koča na Doliču 2151 m – Triglav 2864 m – Dom Planika 2401 m – Konjsko sedlo 2020 m – Vodnikov dom 1817 m.
Mule track which lead to ex italian millitary station. In background Kanjavec 2569m. 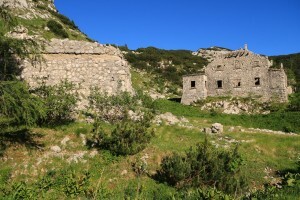 From Koča na Doliču the path runs along the former Italian mule track (mulatjera). It used to lead to the Vitorria Emanuelle barracks, which began operating after the First World War. 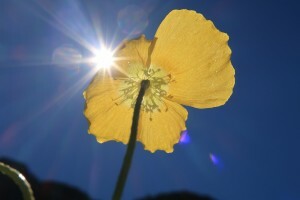 Unfortunately only its foundations are visible today. The path to Triglav goes to the right and rises to a height of 2550m, where the climbing route (ferata) begins. It leads to the Triglav col (škrbina), and then along the right-hand side of the south ridge and continues to the summit of Triglav (2864m). 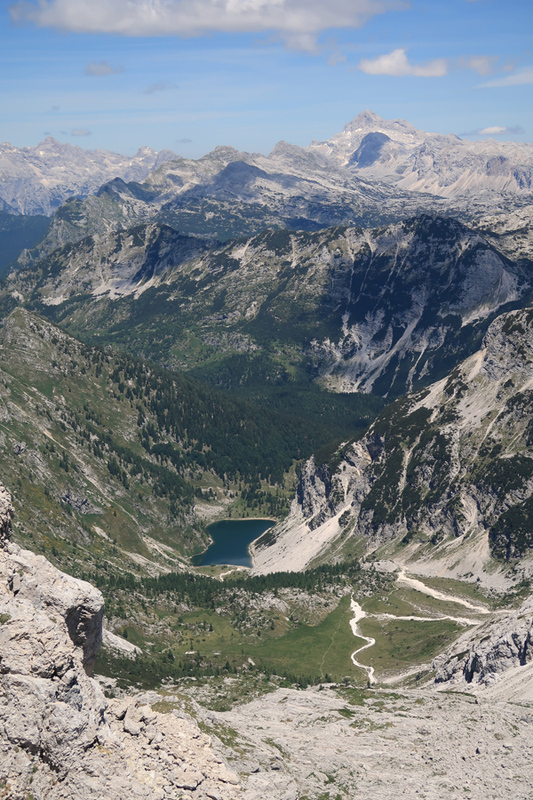 From the top, the view opens all the way to the Adriatic Sea if the air is clear. 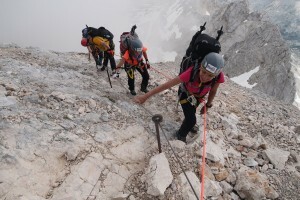 The descent follows the classic path down the ridge to Mali Triglav (2725m), where it splits to Dom Planika (2401m). From Planika, an easier descent leads to Vodnikova koča (1817m). On the top of the Triglav 2864m. Vodnikov dom 1817 m – Velo polje 1680 m – Jezerski preval 1980 m – Planina Krstenica 1645 m – Planina Blato 1150 m.
From Vodnikova koča the track descends to Velo polje (1680m), famous for grazing livestock and cheese and dairy products which are produced from the beginning of July to the end of August. 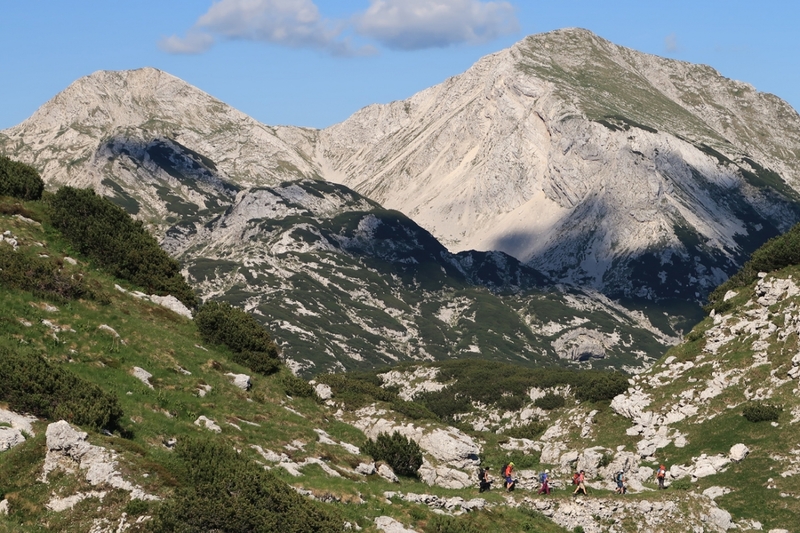 From Velo polje the path climbs to the mountain pass Jezerski preval, where on the right-hand side trekkers are greeted by two peaks with the interesting names Adam and Eve, both higher than 2000m. 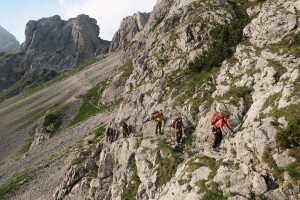 A descent follows to the Krstenica pasture (1645m) which also operates from the beginning of July to the end of August. 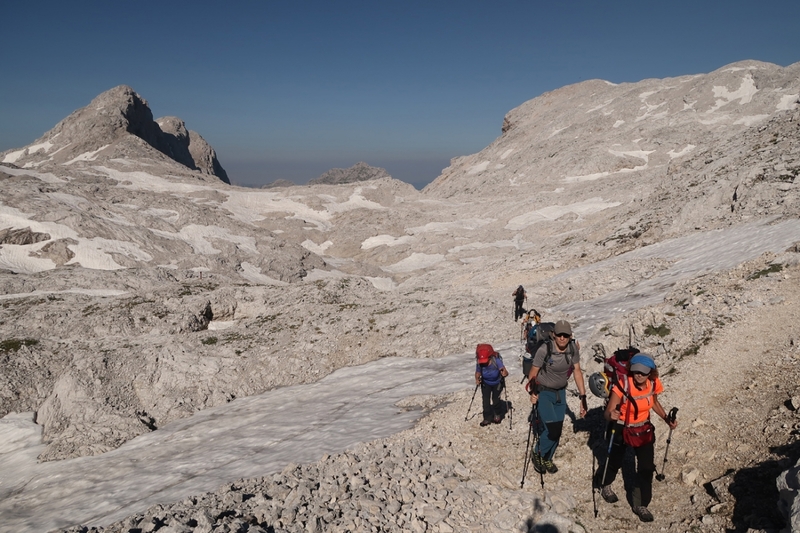 From Krstenica, there is another descent to the Blato pasture (1150m), where we will meet our transport.